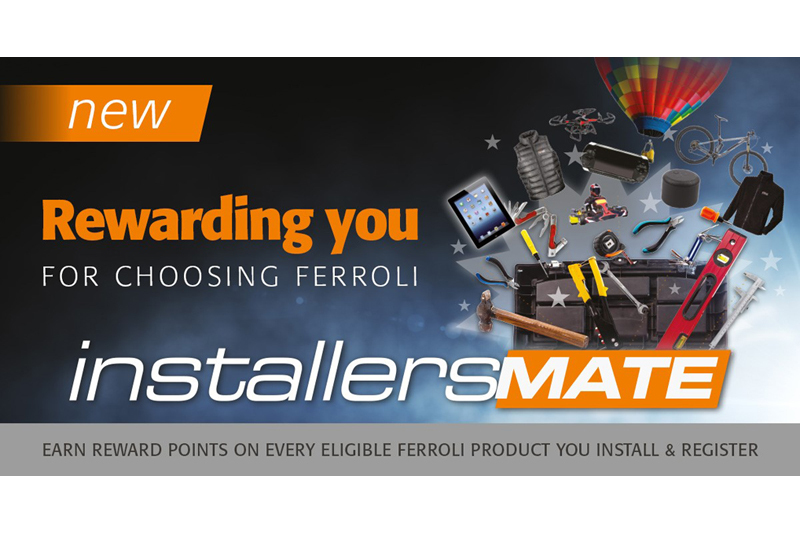 As well as boilers, Ferroli also makes a wide range of electric and gas water heaters and instant electric kettles. Seven of these products are now available in the UK and can be registered via Installersmate. This means that Installersmate is now open to plumbers who aren’t Gas Safe registered but are qualified to fit electrical appliances. Installersmate members can currently secure a free warranty upgrade to seven years on the Modena boiler simply by registering the boiler with Gas Safe via Installersmate by 30th June. Installersmate will soon be available as an app available from the App Store and Google Play.